You know those women who seem to wake up with perfect hair every morning, well most of us are not so lucky. 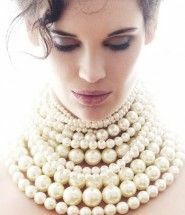 Well, it takes a little more to it for most of us, and we need a little magic to have perfect hair each day. 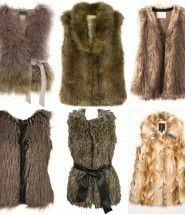 Quite often the curling wands are a girl’s best friend. Whether you want to achieve the sleek and shiny straights hair or go for more romantic look with soft hair waves, NuMe professional styling products have something for every bodies taste. NuMe experts created high-quality products made with cutting-edge technology and developed together with most talented and knowledgeable stylists in the industry. Today this brand sells everything from professional flat irons, curling wands and blow dryers to hair care products and accessories. 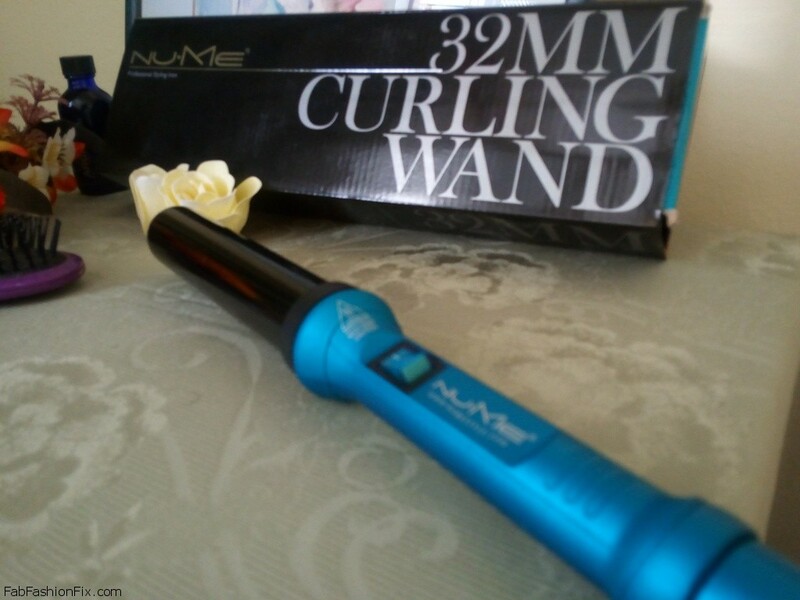 NuMe Classic Wand 32mm curling wand. 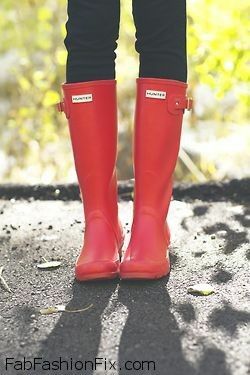 Photo by Fab Fashion Fix. 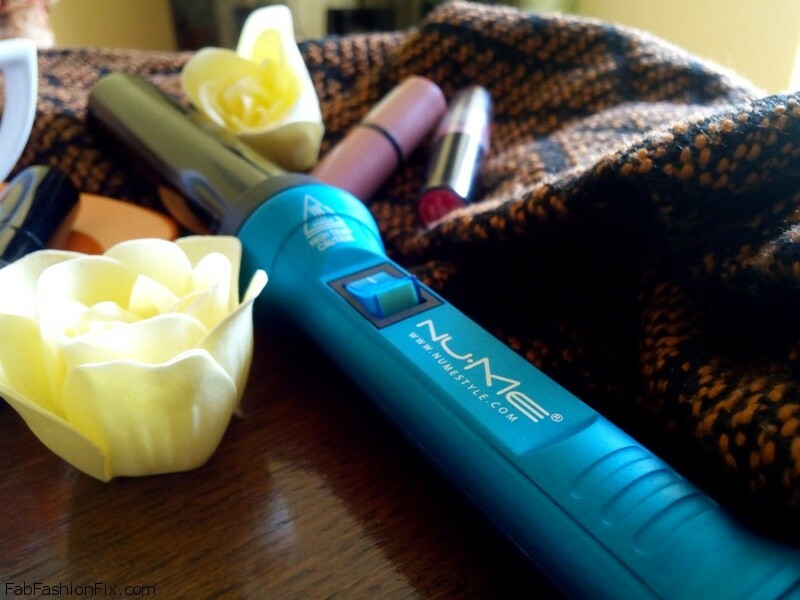 Our team received NuMe Classic Wand 32mm curling wand for a review. The turquoise color of the wand comes together with an added luxury, a gemstone tourmaline-infused ceramic coated barrel. The 32mm size barrel gives bigger curls and does not fry the hair. 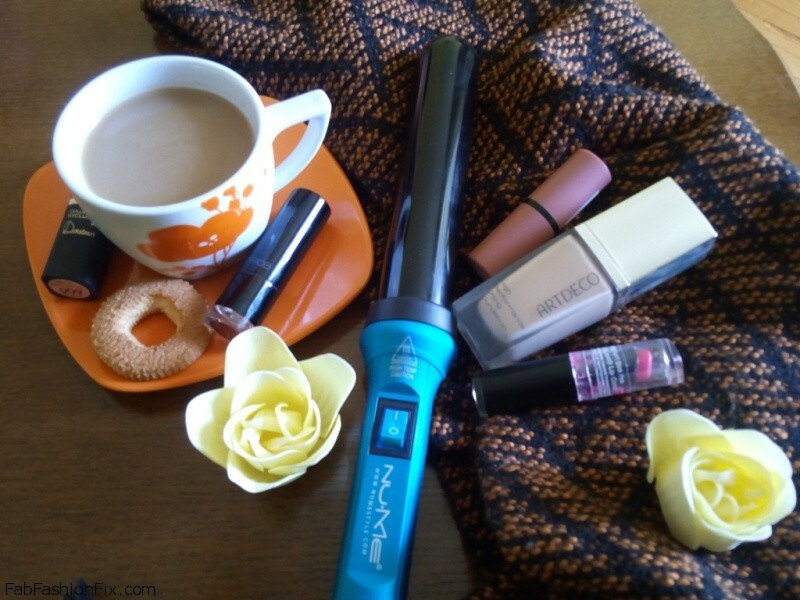 When testing this curling iron, we took three things into consideration. 1. Does it get hot enough to adequately curl your hair? 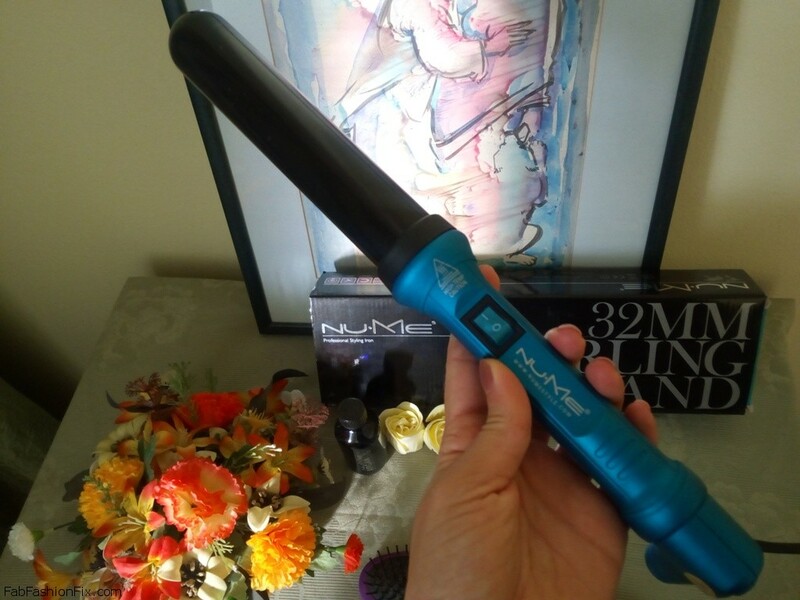 This curling iron heaths up very fast in one minute. 2. Is it the right size barrel for the curls you want to create? This barrel is great for creating larger curls and elegant retro waves hairstyle. 3. Is it easy to hold and use? The wand is easy to manage when holding it in your hand and it also comes with a heat-resistant glove. 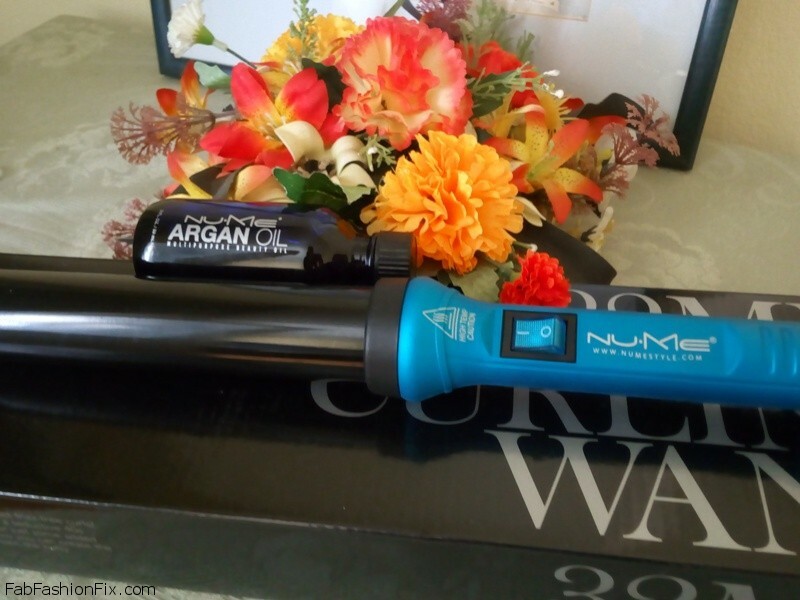 Another great thing is the NuMe multipurpose Argan oil which comes a complimentary gift after buying the NuMe Classic Wand 32mm curling wand. This luxurious beauty oil`s plush formula is filled with Vitamin E which ensures the care of your hair and scalp. 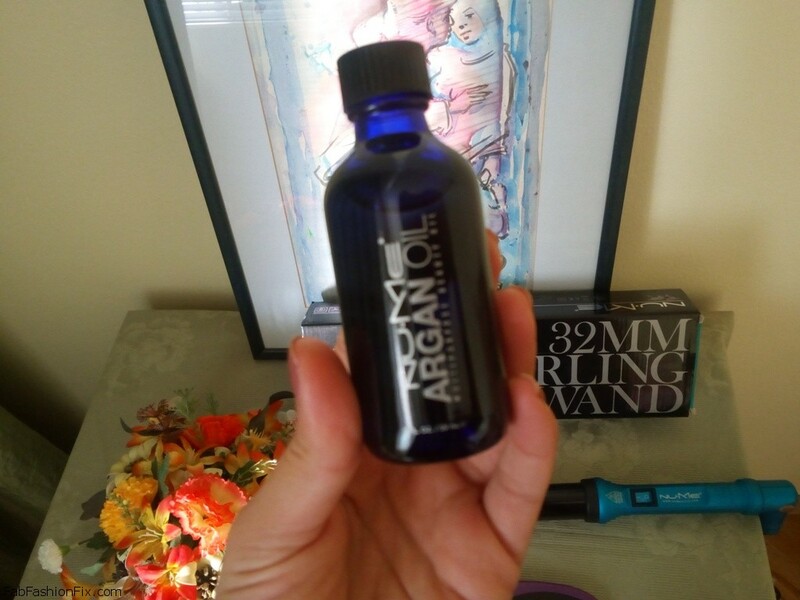 How to use this Argan oil for your hair? Simply put a small amount of oil into your hands and go through your hair to calm flyaways. After that style your hair as usual.